Clears leaves and grass from areas around the house. Good power-to-weight ratio. Comfortable to use, even for bigger jobs. With very powerful air stream for professionally clearing large areas. 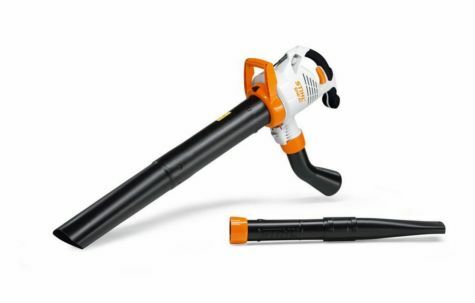 With convenient carrying frame and curved and flat nozzle. 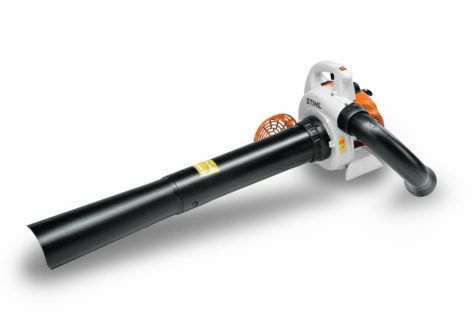 This powerful STIHL blower has a quiet electric motor ideal for residential use while clearing away leaves and grass cuttings. A high and low switch tailors the air speed to command the task at hand. 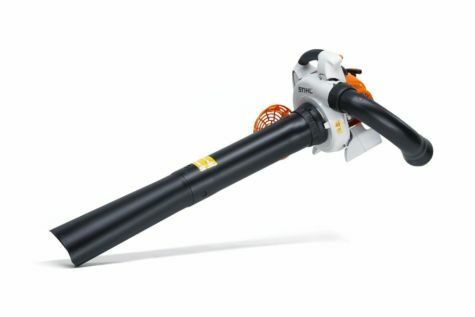 This STIHL blower boasts reduced noise, ideal for using around the house. 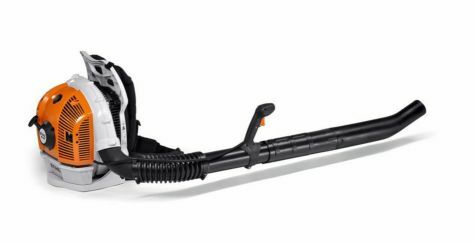 It features a very forceful air stream powerful enough for clearing large areas of leaves or debris. Professional blower for cleaning large areas in municipal service areas. Dual-purpose blower and vacuum shredder. With vacuum attachment and round nozzle. This quiet electric vacuum shredder is suitable for residential areas and the standard additional blower function can easily be engaged. 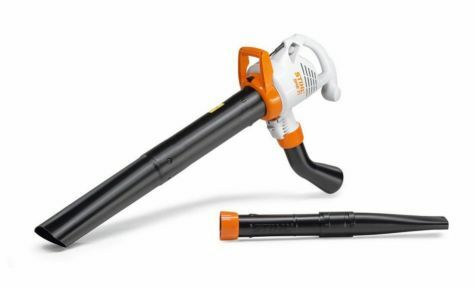 It comes standard with a blower tube and jet nozzle.